In the last blog post we gave you in-depth insight into the release process of a game. This time we want to focus on sales and the importance of distribution channels like Steam or GOG. We will also talk about the effects of digital rights management (DRM) and piracy, an always hot and widely discussed topic. As we explained last time, Train Fever is sold in two forms: Digitally via various platforms and retail as a physical box including a DVD and a Steam key. Typically the developer net revenue for a game sold digitally is much higher. For a low or mid-priced game like Train Fever it is about two to three times greater than retail. This can be easily explained by the fact that digitally sold games lack production, logistics, distribution and retail store costs. If today a game should still be sold via retail at all became a controversial topic in the recent years. As a consequence of risking to miss out on a considerable amount of income, some publishers and developers stopped producing physical boxes at all or decided to sell them online only. Anyway we decided to do so, as digital and retail serve two different target groups. Not selling box versions in stores could lose the casual customer who may buy the game due to store advertising, look for a present for somebody, or is just browsing for a new game to play. Not selling a box at all would cut out the noteworthy amount of old-school players which still likes to own a physical box and medium. Last but not least selling retail can also cover some additional distribution channels like Amazon. While we sold about 30.000 box copies of the game, the majority – about 90.000 – of the sales were made in digital form so far. Steam is the most known platform for buying games online and with surpassing more than 125 million active users earlier this year it is of utmost importance for independent developers. Having a game featured on the Steam front page can generate millions of views and making it into the top seller list can boost sales even more dramatically. In the case of Train Fever sales via Steam account for about 90% of the generated revenue in digital form. Games on Steam are discounted on a regular basis either within a special event, like the Summer Sale, or games are sold at a reduced price individually. This has a huge impact on the sales numbers. A thumb rule is that if a game is sold for a fourth of the regular price (-75%) sales are about 40 times higher. A common practice among Steam users is to put the game on ones wish list. Therefore even months after a game is released it still can sell a lot of copies, especially to customers waiting for a discount. Steam follows a developer friendly policy and is therefore enjoying a good reputation among game creators. Steam also offers a lot of comfortable features for customers – like the easy access to the games library – but also comes with its downsides, one being the DRM. Steams DRM mechanism forces players to bind their bought game to their account, which can only be used with the Steam client software. A couple of players dislike Steam due to this circumstance. One way to approach this is to sell games DRM-free via GOG. GOG in contrast to Steam allows buyers to download the game directly after the purchase from the website, install and use it without the need of a client, serial number or user account. The game is available for download to the customer for an unlimited amount of time. A fraudulent buyer could violate the user agreement and illegally distribute his copy to other people. This is why some publishers argue that DRM is needed to fight piracy, some even implement always-online-mechanics to force players to use a server login when they want to play the game. However, in our opinion, selling a DRM-free version is more an opportunity than a problem because cracked Steam versions are available anyway. There is hardly any game which is not cracked immediately after release. 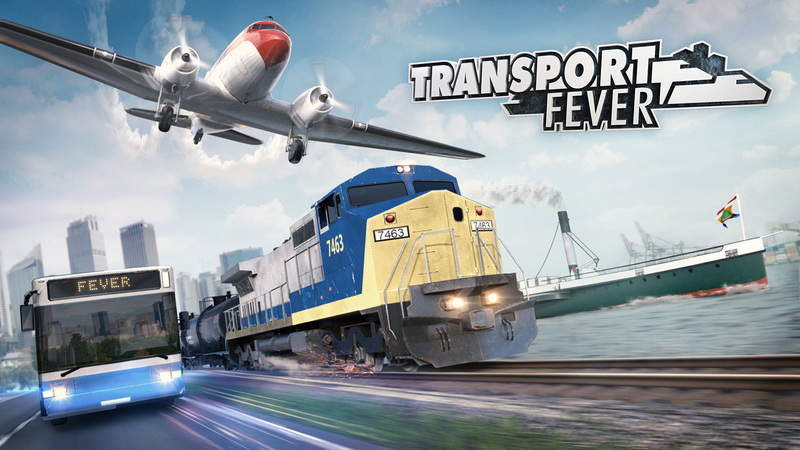 Our estimate is that in the first two months about 30% of the active players of Train Fever used a pirated version. Since then this figures dropped slightly. This estimate is based on the logs sent by the legal and pirated version of the game to our servers. Active players with illegal (red) and legal (green) copies of the game over the first weeks after release. But the question remains: Would sales go up, if piracy could be avoided without having the downside of forcing honest customers into dealing with harsh DRM restrictions? We believe they would not, even if it is very tempting to think so. We are convinced that a malicious player will not automatically buy a game if it is not available in a cracked form anymore. Usually, for these players the price-performance ratio is not acceptable. After the game was released on GOG, the figures did not change and still most of the illegal download sources remain to offer cracked Steam versions. This confirms that – in our case – selling a DRM-free version has no measureable impact on piracy (and therefore no negative influence on our revenue). Improving the game over a long period of time and distributing it via different platforms is one possible method to counter piracy and make potential buyers aware of the game. Marketing the game, advertising and getting coverage in various media can also acquire new customers. A lot of games magazines nowadays have their main presence online, but traditional press like print magazines still play an important role, especially in central Europe, which is the most important market of Train Fever. Investing in commercials is an established way to reach additional customers on top of having the game covered by magazines in the form of previews or reviews. However, one disadvantage of print commercials is that the effect cannot be directly measured (no live click or view numbers etc.). Next to the traditional media outlets YouTubers and Streamers present an ever growing part of today’s game journalism. They often account for the majority of the coverage a typical indie game gets. A single YouTube channel video can get 100.000 views within days. Even content producers with a small number of subscribers are very interesting, because they have very loyal audiences which show a lot of interested in certain game genres. More than a year after the release still every week dozens of Train Fever videos are uploaded to YouTube and are viewed thousands of times. On the other hand, YouTube videos – especially Let´s Plays – are still considered a threat to sales by some publishers and developers. They think people prefer watching a game over playing it themselves. This is definitely not true for Train Fever, as it is a very open game and can be played in many different ways. So viewers of this videos are more likely to be motivated to try the game themselves. Our homepage is another way to advertise for the game. In the release month more than 100.000 people visited the homepage. Sending out press releases and newsletters as well as visiting trade fairs completes the package of possible marketing tools. Having satisfied customers is of course the most important part of marketing. In general, gamers are very critical, especially players of simulation games. They check at lot of different sources before they consider buying a game. Therefore, using cheap marketing tricks and promising the perfect game is definitely not an option. Making and releasing games is not easy. Selling games is yet another different story. Many aspects in regard to distribution have to be considered. The DRM questions as well as the different marketing options have to be carefully addressed in order to make a game a success for all parties. We would like to hear your opinion on our findings and figures. Let us know in the comments what you think! And of course we invite everybody to buy the game who owns a pirated version!